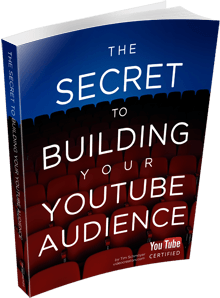 This month’s LIVE YouTube Training covered the topic of video and channel optimization. Our guests, Mark Robertson of ReelSEO and Ronnie Bincer, the Hangout Helper, shared a lot of great advice, tips, and information regarding video SEO, channel SEO, and more. Great hangout. Thanks for sharing this information to help us improve our rankings. I will have to say that I tend to agree more with Ronnie on the closed captioning helping with the optimization. The captions thing is tricky. The question is whether the captions themselves contribute to stronger SEO or whether the viewer behavior on videos that have caption files contribute to the stronger SEO (i.e. audience retention, longer watch times from those with English as a second language, etc.). I tend to lean more toward the latter because YouTube has shown time and time again that they don’t place much SEO weight on metrics that can be gamed, such as likes, dislikes, comments, and other factors. All those things are still helpful for SEO because of the behavior that people who engage in such activities around a video are likely to contribute to the video (i.e. watch time), but in and of themselves don’t make much of a difference. I put captions in that same category. Ultimately, though, I could be totally wrong. I don’t see the algorithm nor know exactly what it factors in. It’s just my theory, that’s all. That is a good theory Tim. If we could see the algorithm and know exactly what factors in we could make billions :).